aib: She would ask you if you wondered. She would ask you if you wondered. 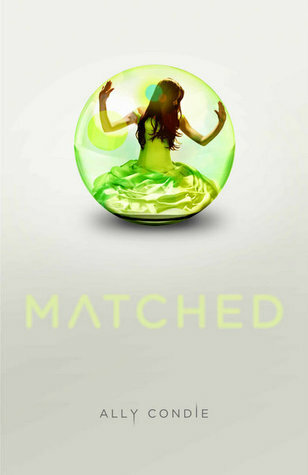 I recently finished the book Matched by Ally Condie and I am absolutely mesmerized by this beautiful story and the simplicity of the message in it. I eventually lost count of the number of times that I promised myself I would put it down "right after this chapter", got to the end of the chapter, got instant chills and continued on. It was an incredible read- one of those that leaves you more aware of and more appreciative of the chances and choices you have had in your own life. The experiences that make perfect sense and leave you feeling whole, and those that stay for only a little while and make you wonder. Being a Literature major, I have read many books in my life that I have enjoyed. But very few have stirred up hidden emotions in my soul that I have wanted to figure out how they fit and connect in my own life. This was one of those. In fact, I can confidently say - This book is the second best book I have ever read. "Our time together feels like a storm, like wild wind and rain, like something too big to handle but too powerful to escape. It blows around me and tangles my hair, leaves water on my face, makes me know that I am alive, alive, alive. There are moments of calm and pause as there are in every storm, and moments when our words fork lightening, at least for each other." "Every minute you spend with someone gives them a part of your life and takes part of theirs." "It is strange how we hold on to the pieces of the past while we wait for our futures." "What do you think she would say about my Match?" I ask him. "About what happened today?" He's quiet, and I wait. "I think she would ask you if you wondered." I really recommend this book to any of my friends who love to read. Especially if you were a fan of The Hunger Games. It reminded me a lot of that trilogy, but was softer and more artistic in a way that I'm not sure how to explain. 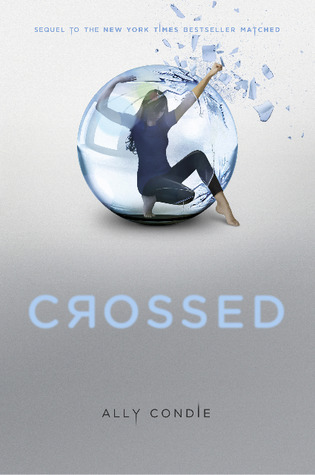 The sequel called Crossed will be coming out on November 1, 2011 and the third book will be released in November of 2012. So basically, I am more than impressed with this book and it's message about the choices we decide to make in our lives and how they alter our paths. But more than that, I loved reading in between the lines for an even more apparent message: the chances that we get in order to make those choices not only alter our paths, they alter WHO WE ARE. "I will whisper the words I have written (...) and they will change from ash and nothing into flesh and blood."